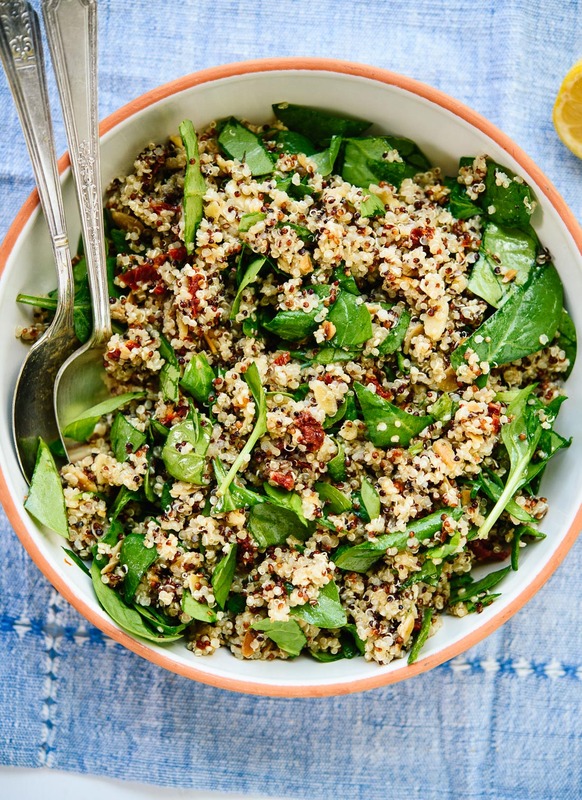 Put a bed of spinach in a big bowl, add carrot, tomato, cucumber and quinoa. Finally mix with hummus, add lemon juice and a drizzle of olive oil. I like to mix it all!! Enjoy! Benefits: Good source of protein. Avocado is a healthy fat.